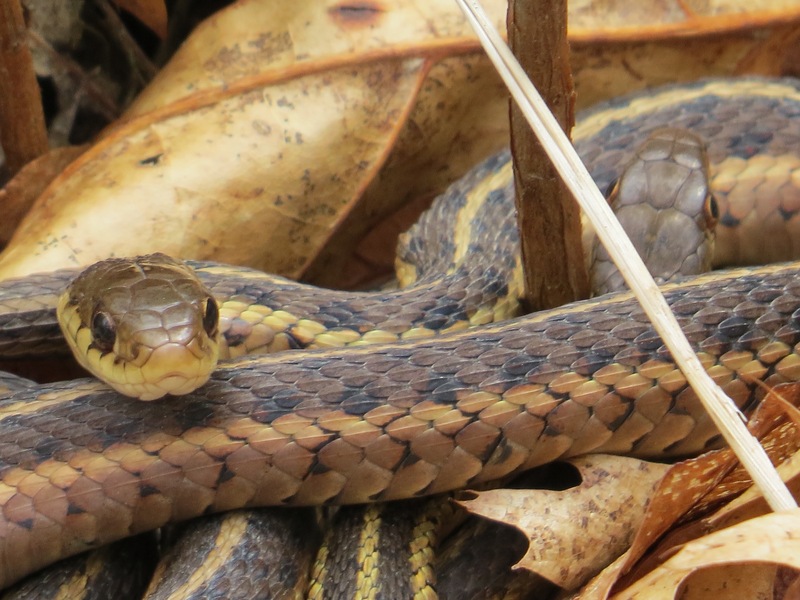 Does this snake have a head at both ends? 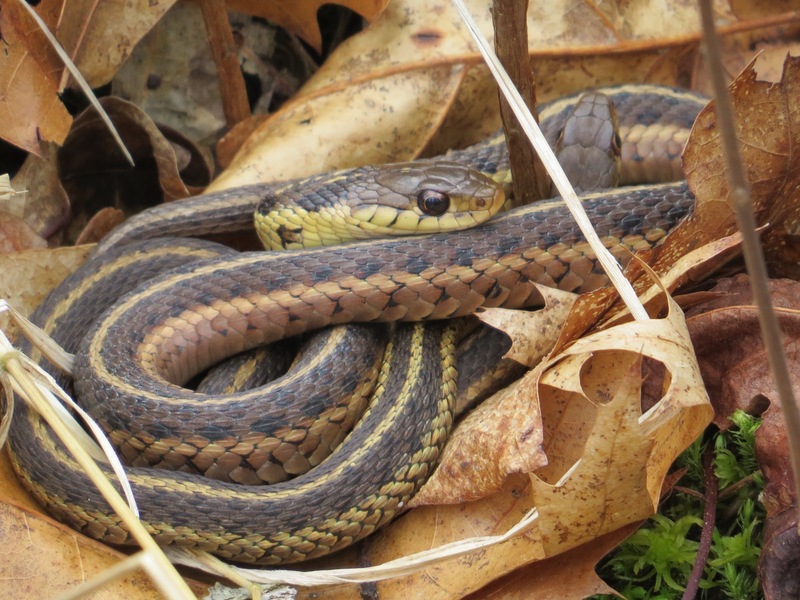 Eastern Garter Snakes (Thamnophis sirtalis sirtalis). And another. Great Swamp NWR. I wanted to turn these into Ribbon Snakes. They were, after all, on tiny islands in the swamp. But look at the black marks on the sides of their faces. Ribbon Snakes, which are in the same genus, don’t have those. 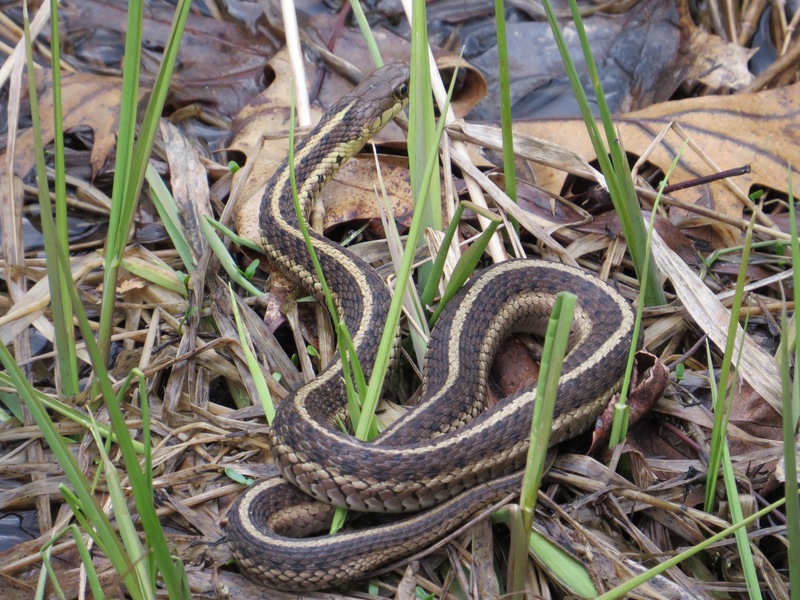 Compare my examples with this image of a Ribbon from the VA Herpetological Society.